Take Care Of Morgan (Barn name: Morgan) is a 1998 Gold Cream Champagne Quarter Horse (Aa, ee, CRcr, CHch, dd). 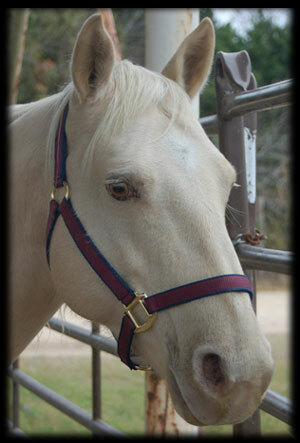 Morgan has been a broodmare all of her life. She is an easy breeder. She does best in a pasture environment and is easy going in the herd. She is halter broke and will stand tied. 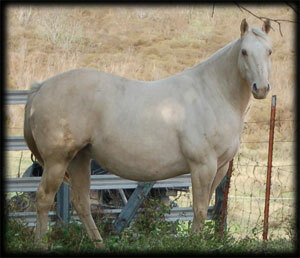 Double registered AQHA/ICHR. Morgan is currently in foal, so she would not be able to go to a new home until the baby is weaned. 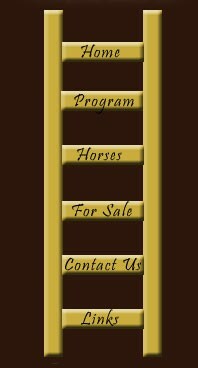 Morgan's sire and dam are money earning roping horses. 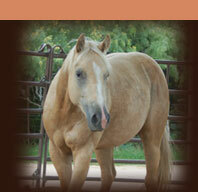 Pedigree includes: Morgan Gist, King, Hankins Goldnugget, Peppy Thirsty, Doc Bar, and more! 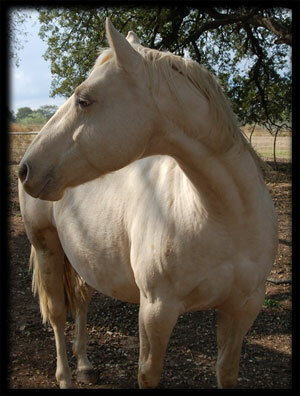 Morgan gave birth to a gorgeous colt on March 18, 2008. Check him out!